As you can see in the title – I’ve made a few switches to my health & fitness routine again. Let’s call it – a change for the new quarter (I get bored easily!) But this time I’ve made changes you probably wouldn’t expect. In my last health & fitness update back in January – I shared a few things. For one, I really reduced cardio in my routine. Why? Well, I just didn’t feel like it, and that was reason enough for me. I also proclaimed this to be the year of the glute (and, well, that will always hold ;)). The truth is, after my “veggie January” I sort of relapsed from my health streak and unknowingly went on a binge. I was tracking calories for the veggie challenge just to make sure I wasn’t undereating (read more about that in the post linked above), and after The challenge I continued to track calories and macros but fell into a “if it fits your macros” mentality. Suddenly, lots of oily sausage omelettes and chicken karaage lunches (it’s fried chicken, but the Japanese version… guess I thought it meant it’d be better than your every day KFC), made their way back into my usually much cleaner diet, and it definitely took its toll. On the other hand, I was focusing a lot on my strength training and I feel like that did tone me up quite a bit, but I was putting on lots of fat at the same time. I sort of decided to sit down and rethink my “strategy”. 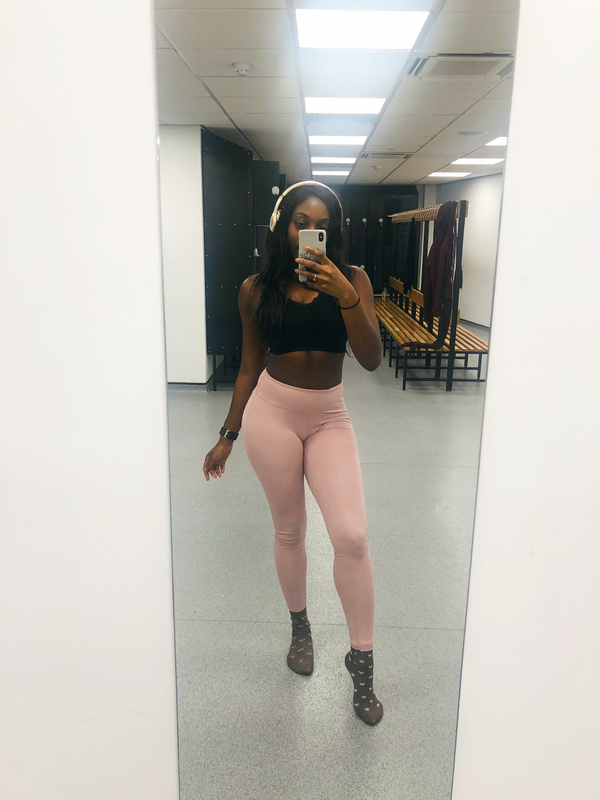 I’ve heard so often in the past about how going to the gym first thing in the morning is the best thing to do as it gets you geared up for the day ahead. The issue with me was that i) I start work, these days, anywhere from 8:00-8:30 am and ii) well, I’d prefer to get in all the sleep I can 🙂 But, then issue 3 arose – my working hours sort of deteriorated and became pretty unpredictable. So whilst I was an evening gymer – I am not a night time gymer. Because my evenings became so much of a question mark, I decided to just drag myself out of bed at 6:00 am and make the gym the first thing I do and actually, I’ve really been loving it. 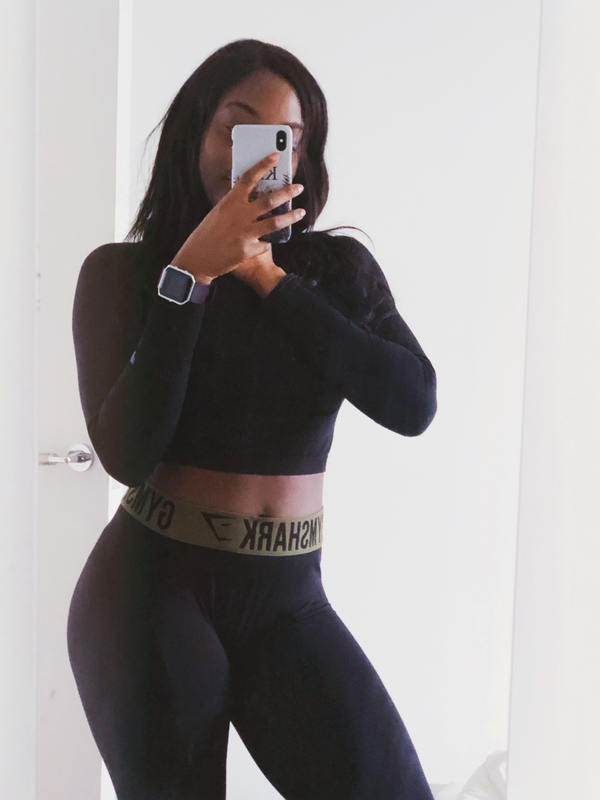 It gets me to go to sleep earlier (something I’ve always struggled to do…), and it means that no uncertainty can remove my workout time from me because the morning is almost always mine. Knowing by 8:00 am that my workout is already done for the day is such a good feeling. I got sick and tired of tracking my calories and macros, weighing my food out and all that garbage. I guess it has a time and a place. I think tracking your calories when you’re first starting your own journey can be useful because you’ll probably learn a whole lot – I literally thought a plate of BBQ spare ribs was healthy once upon a time… because it included no carbs. It was through tracking and looking at the fat content of those ribs that I realise that wasn’t it. That said, for me it wasn’t really working this year, as I found I’d abuse the “if it fits your macros” policy to eat garbage but feel okay because it sort of fit into the numbers I was trying to achieve. I decided instead that if I’m eating something that’s not unhealthy and/or is good for me, I’m going to eat as much of it as I want. That has actually led to me eating more, including more carbs, which has made me a lot happier and I’ve still been seeing the progress I want to see. I also decided to stop adding extra sugar (cereal) and salt (lunch and dinner) to my meals, and finally, I eats lotsss more fish now than I ever did before. I used to do plyometric HIIT workouts frequently but I got bored of them and shifted them out of the way to make room for more strength training. As I’m trying now to shed some extra fat I’ve reintroduced these back into my routine. Can’t say I enjoy them but… they do get results. Also, I’ve introduced some “everyday cardio” into my routine – things that you wouldn’t even think of as “cardio” in your day to day lives; for example, walking to and from work, taking the stairs instead of the elevators, taking the stairs on the escalators. Sometimes you’d be surprised what the little things can do for your fitness and how you feel! As you know, it is the year of the glutes – which has meant lots and lots more hip thrusts. More than ever before. I managed to progress my hip thrusts really quickly up to 100kg+, and I was doing them on every leg session. That said, I was neglecting squats a lot and whenever I did squat or deadlift (two key compound moves), I’d keep the weights lighter than I could manage. One day, I realised I had seriously lost a lot of the strength I once had in these areas and essentially started from ground 0, to try and build this back up. 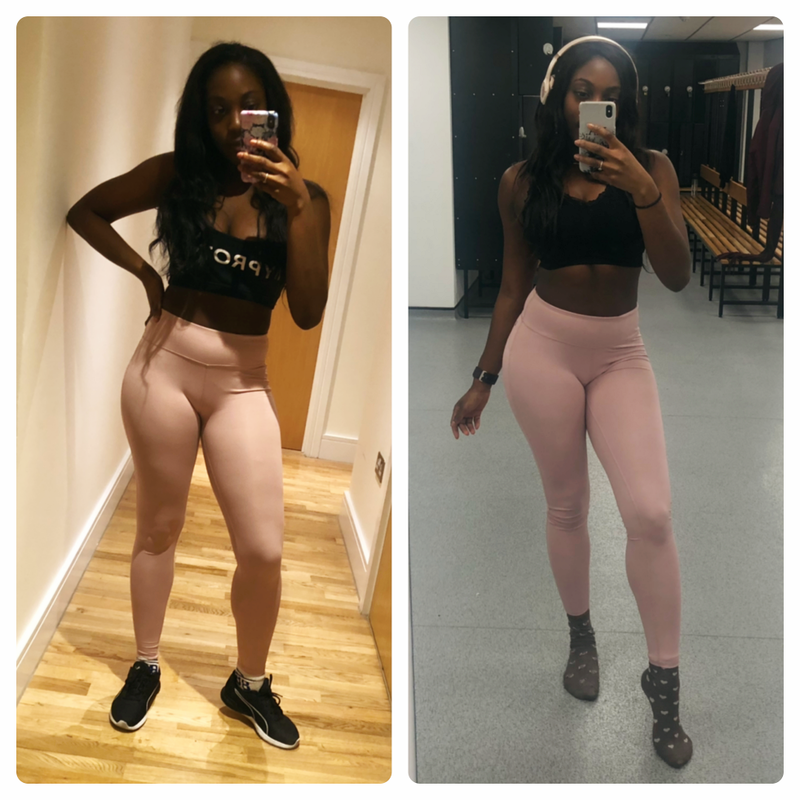 Whilst focusing on glutes important – shock, horror – there are more body parts than just those two peachy things that you sit on, and they shouldn’t be neglected! I mentioned on my last fitness update that I wanted to do a few new things. One was to upgrade my gym to a boujee gym (I was eyeing up Third Space). I sort of decided against that at one point and thought that extra £100 a month that will go towards Third Space can go to something more productive, plus, Pure Gym does have everything I need and more. That said, next week I’m doing a trial at Third Space with a friend to see if it could, if ever, justify all the money. I also tried out a “fitness app” where a meal plan and daily workouts are set out for you. It was through this app that I learned a bit more about healthier snacking and more about adding fish to my diet, but otherwise I unsubscribed from the app soon after. I just am the sort of person that likes to do what I do rather than have something tell me what to do (for e.g. I do not want to substitute my breakfast eggs for a shake, nope), and I knew the app wouldn’t be a good fit for me over the long run. That said… I am forever open to new things! I’ve been doing the above for about a month now and I have been feeling and (in my opinion) looking a lot better. But, of course, you guys know me. If anything changes significantly, I’ll be back on here to share another another update!